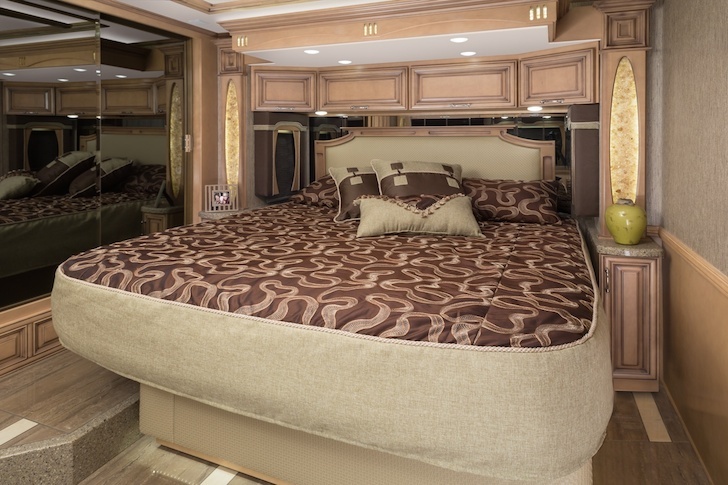 Take a quick tour of the 2015 Newmar Mountain Aire. 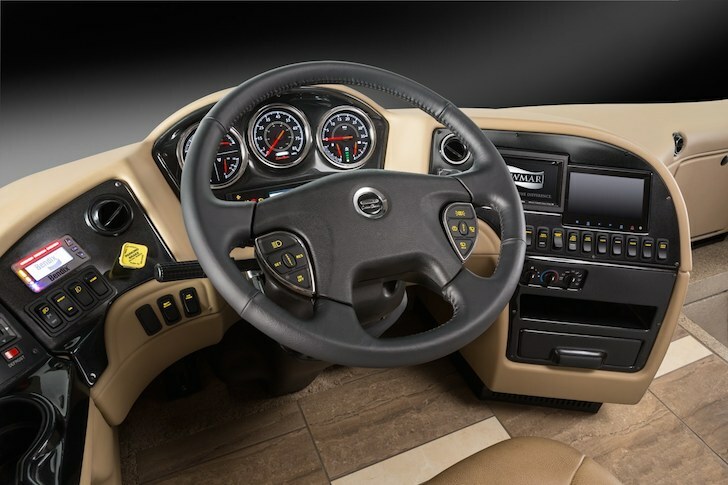 New for 2015 is a 500 HP Cummins engine and a ton of upgrades. 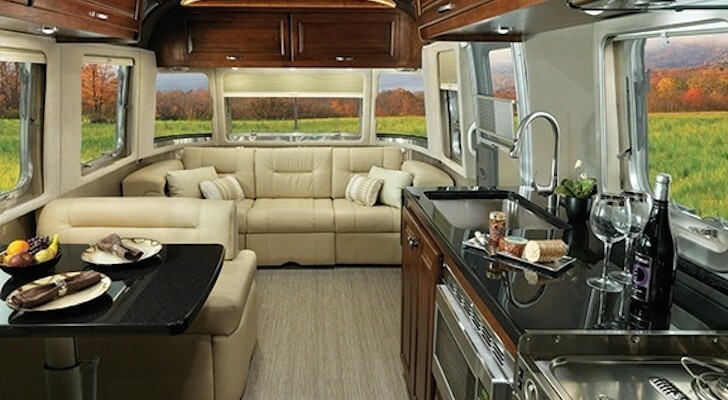 We recently showed you Riverside RV’s White Water Retro Trailer, an alternative to the 2015 Shasta Airflyte reissue. 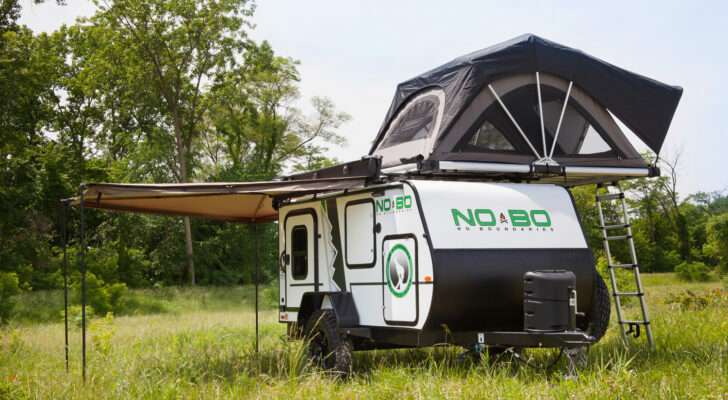 Another company that is proud of their Amish heritage makes RVs on a different scale. 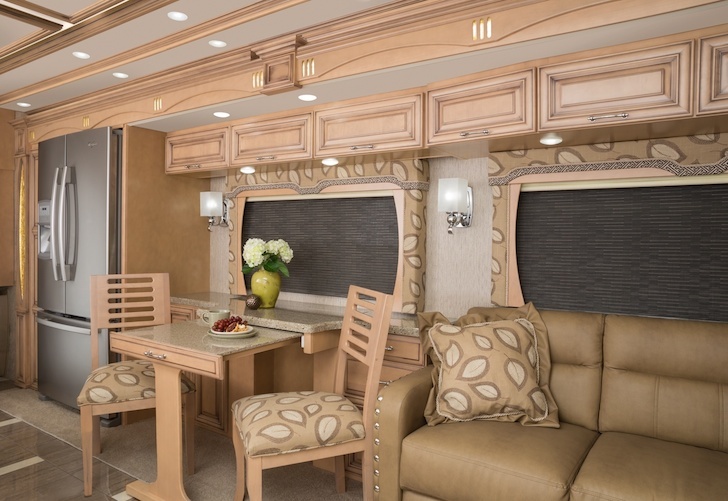 See also: Airstream Redesigns Their ‘Classic’ Travel Trailer for 2015. Full-Timers and Most-Timers Take Note. 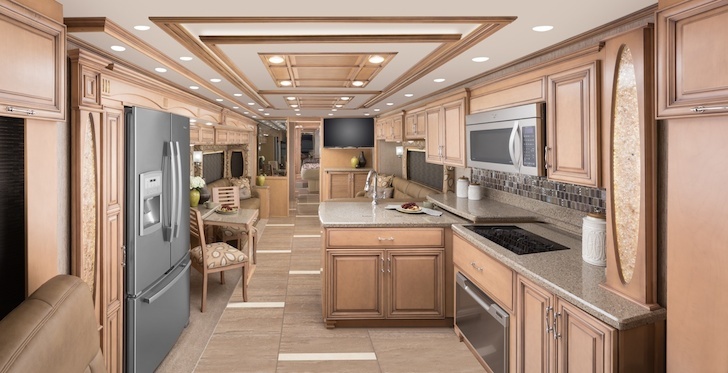 Newmar is a company built on Christian principles and honors the Mennonite faith. The company focuses on courtesy, fairness, honesty, and reliability in crafting some of the most awesome coach’s around. 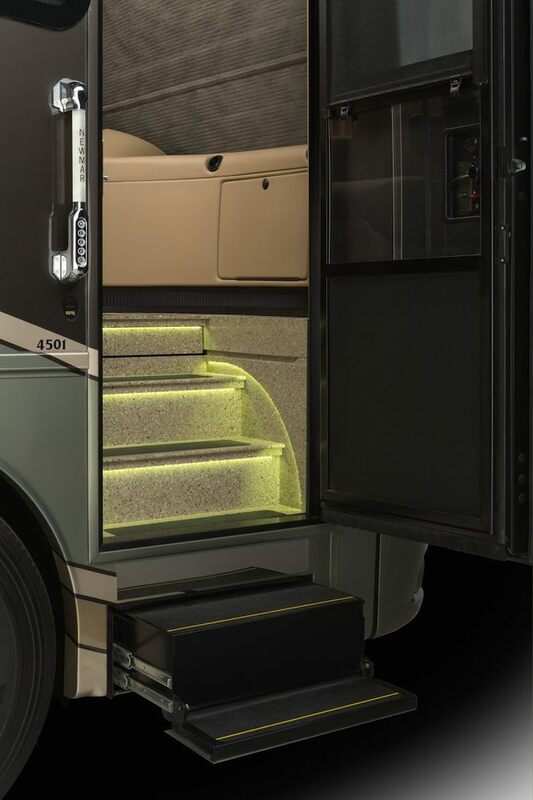 At Newmar, we believe that a motor coach is more than just a vehicle. It should be a dream come true. 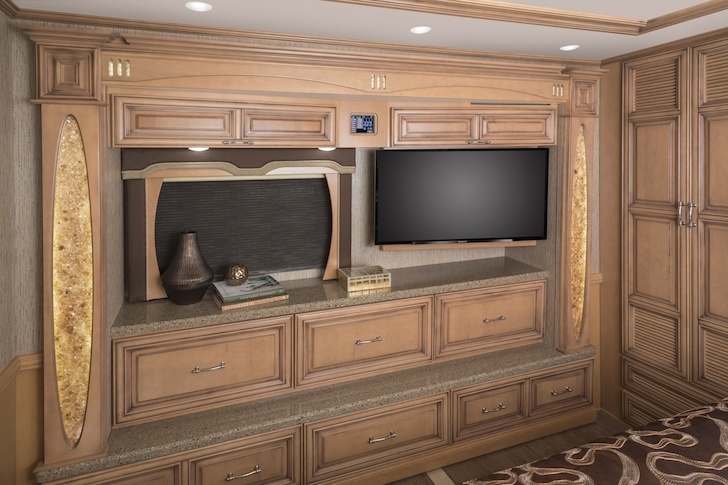 After seeing this 2015 Newmar Mountain Aire, you’ll know what to dream about next. 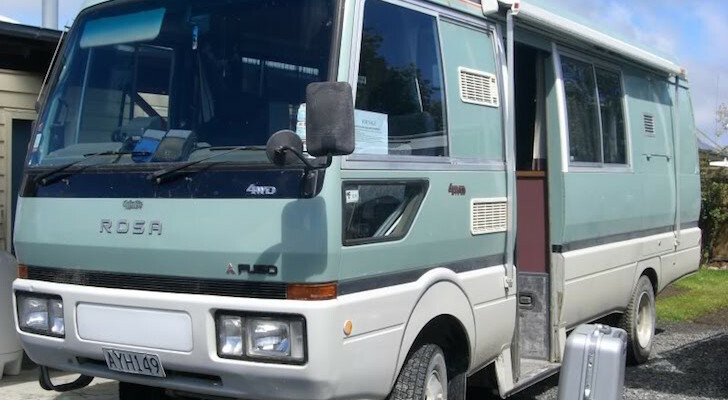 The Mountain Aire has long been an elite motorhome. In 2015, it continues to improve. 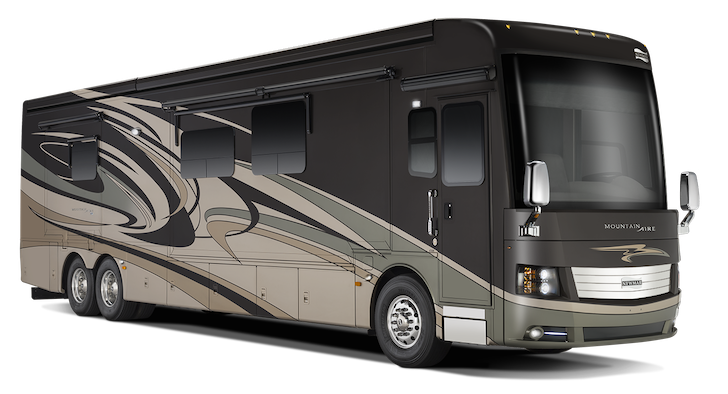 Newmar’s Comfort Drive steering system makes it easier for you to turn the wheel when you drive and park. 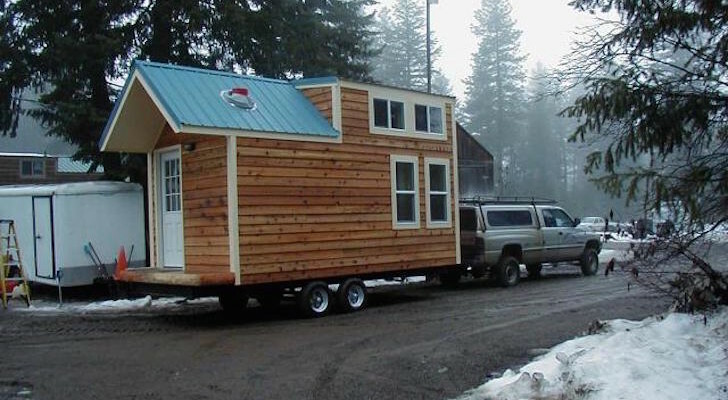 The driver and passenger seats can rotate to face the cabin. Lots of room to cook in the galley kitchen. 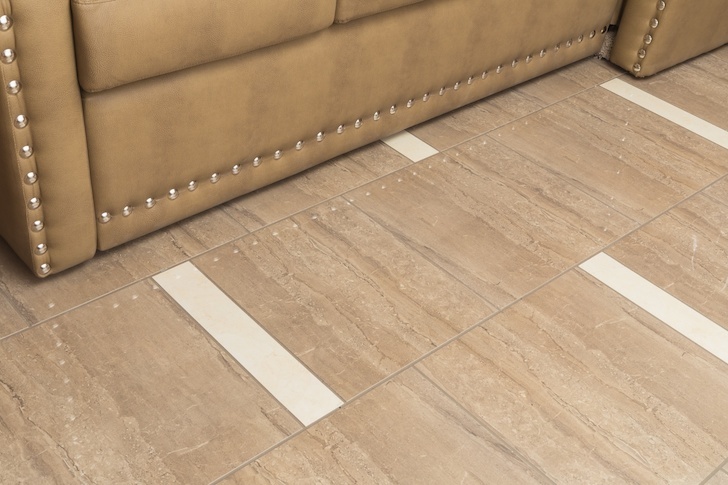 Large polished tiles on the floor. 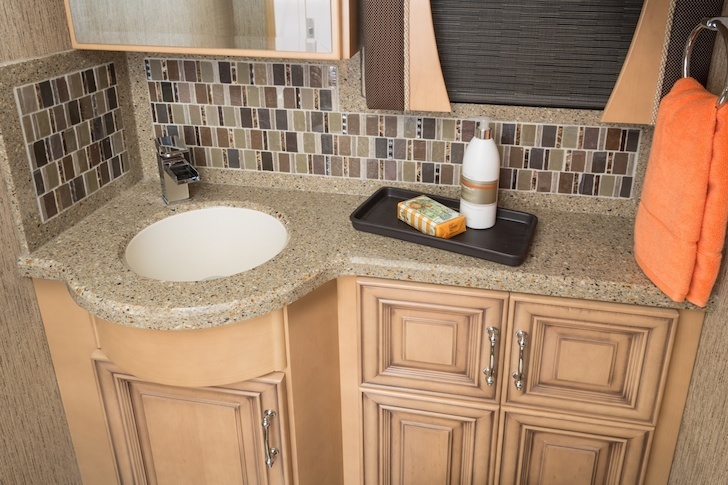 And easy to clean solid surface countertops throughout. 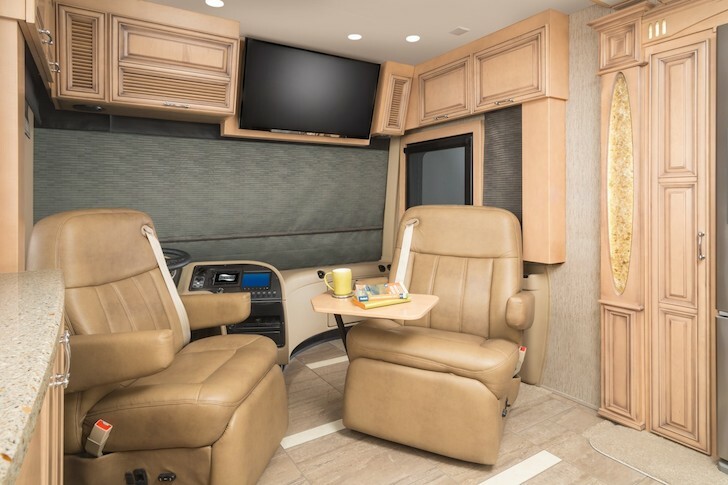 With a sweet entertainment system for weekend lounging. 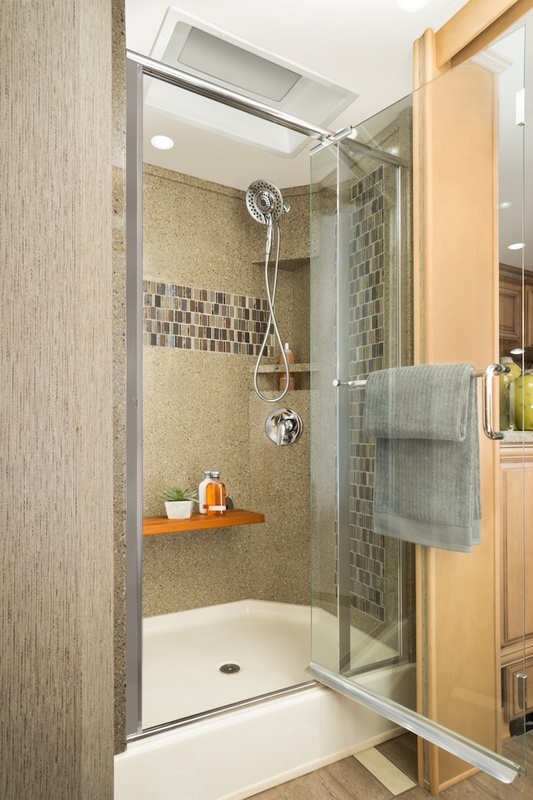 Walk-in shower with top of the line residential fixtures – and an optional fold down seat. 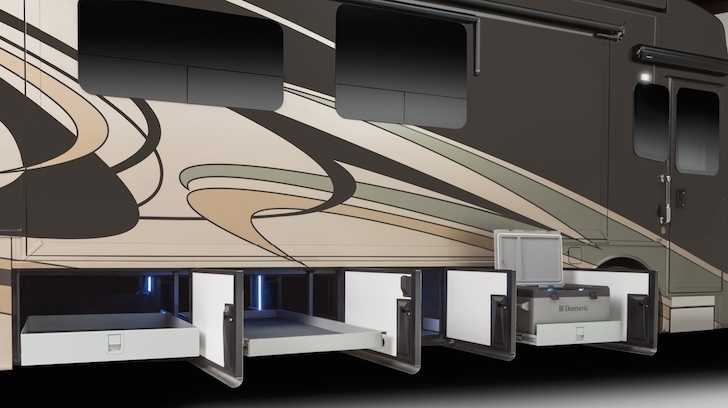 The Girard G2000 Power Side Awning comes standard with a wind sensor, remote control, and LED lights. 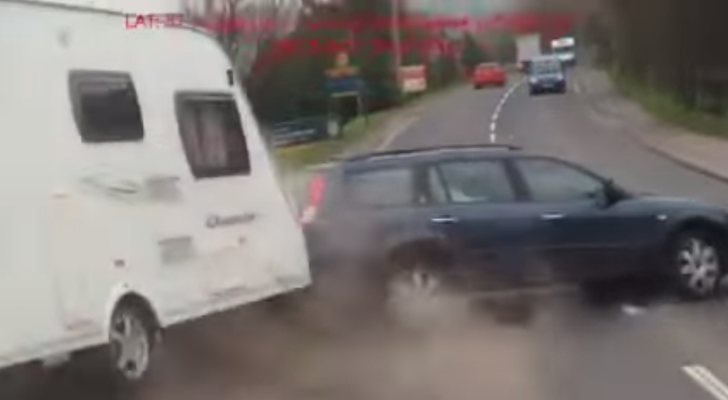 Sorry, no need for this LED awning mod if you’ve got a Mountain Aire! You can opt for powered sliding storage trays as well. 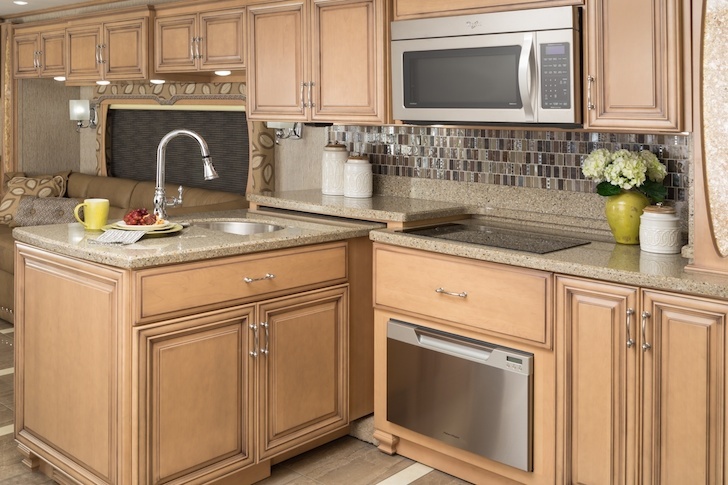 You can choose from four styles of interior decór, exterior style, and cabinetry. 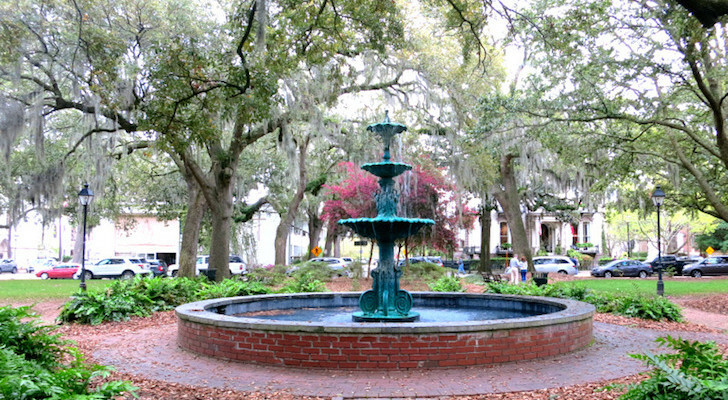 This is the Palmetto color scheme shown below. See the others here. 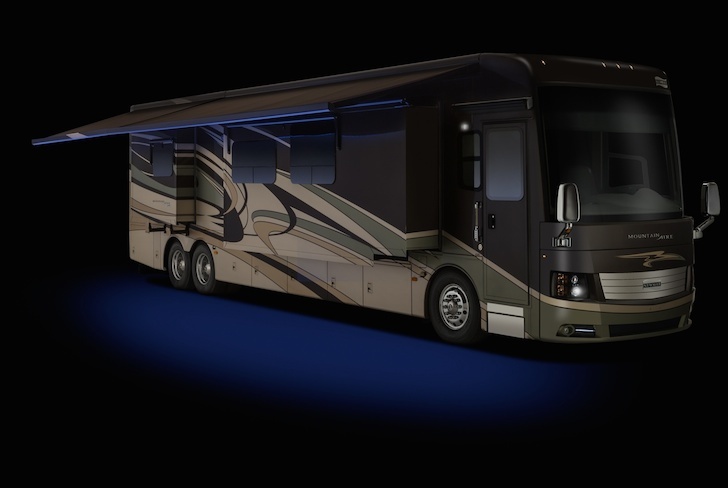 Visit Newmar’s website for more information on the 2015 Newmar Mountain Aire. See also: Mix of Old and New in This 1957 Flxible Starliner. 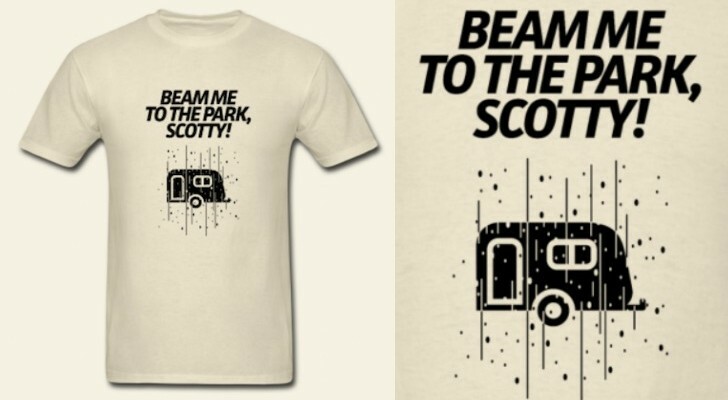 If You like Art Deco You’ll Love This. 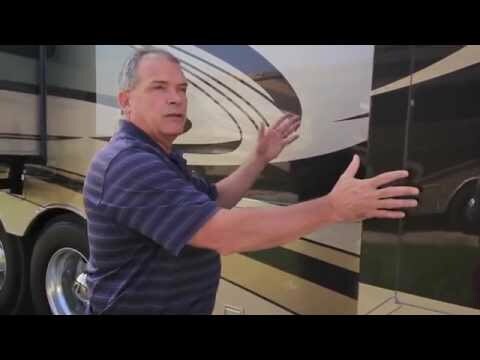 Let Newmar’s own Ken Williamson give you more details on the 2015 Mountain Aire Coach.